The weather forecast leading up to WTC this year called for heavy rains. Much like before Fourmidable 50k last year. I knew from that experience that the course would not be fast. The mud and deep creek crossings would keep your feet heavy and wet all day as well as sucking up energy on every step. I feel like I did a good job preparing mentally for that aspect of the race. Never was I thinking about the mud or the water. 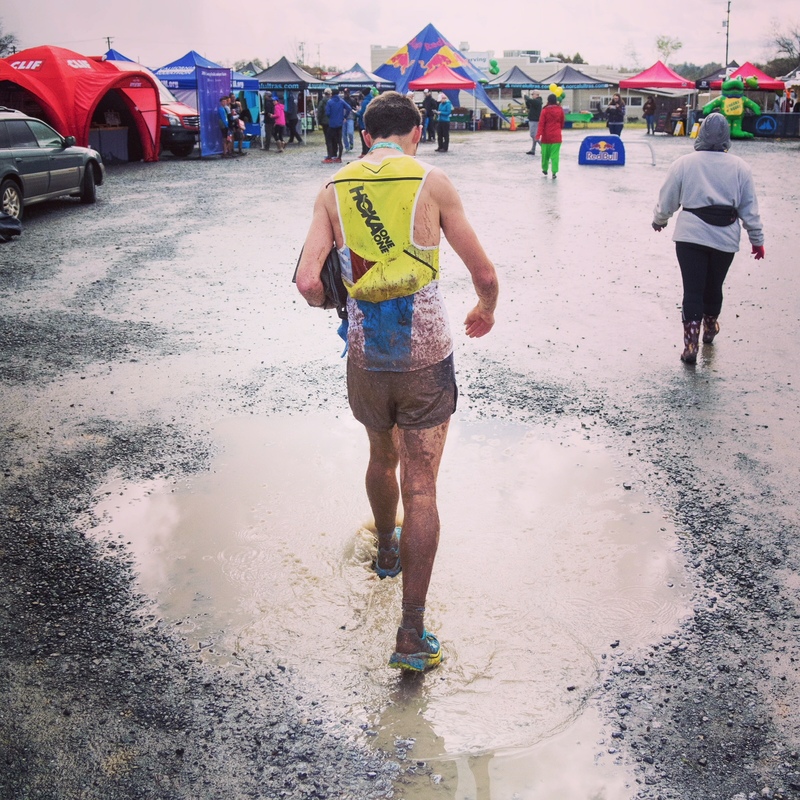 The new Hoka trail shoes I’d been testing were stacked fairly high and I was able to charge with abandon through any and all forms of slop the course would throw my way. The men’s field was deep as usual for this perennially top early season event. I chose it for this reason. So many fast people have run here over the years, and the competition on the day would test my fitness without a doubt. The first mile is on a slight downhill paved road, a good time to feel out who you’ll be racing and see what everyone else is doing. I came through the first mile in about 5:35. I was back in about 12th place as we entered the trails and crossed knee deep Knickerbocker Creek. As we rolled through the early miles in a good pack it was quickly becoming apparent that my training and taper had worked well. 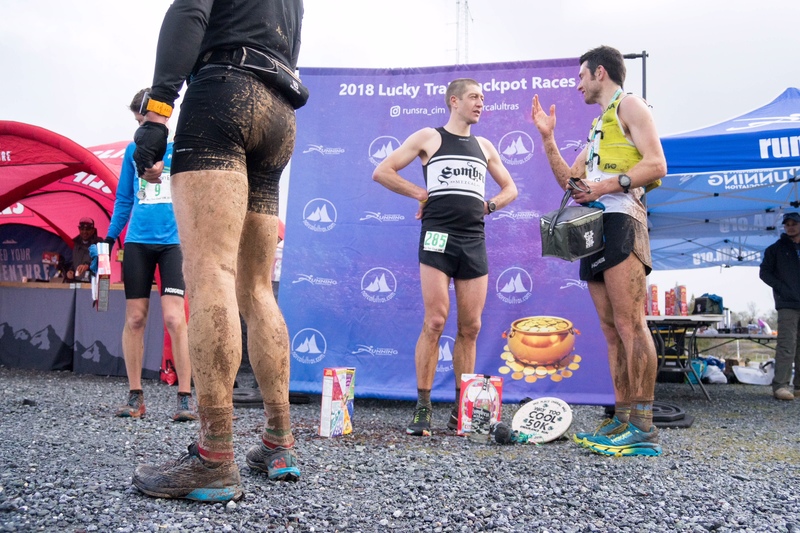 I could feel how easy I was running the pace and how close I still was to the front (with guys like Max King, David Roche, and Brett Hales leading the charge). I was able to move by the pack I was with and start to bridge the gap to the next group. Coming through the end of the first loop at mile 8 I was 50 seconds back from the lead. I’d passed Jared Hazen and gotten a little ways ahead of him about 7 miles in. I was moving well and didn’t really expect to be caught by anyone, but around mile 12 there was Jared making up time on me with every little climb. We ended up running together in 7th and 8th place through mile 17. We caught David Roche in that section and moved passed. As we hit the longest climb of the course heading up to the Western States Trail Jared had a gear I could not match. After about a mile he was out of sight. 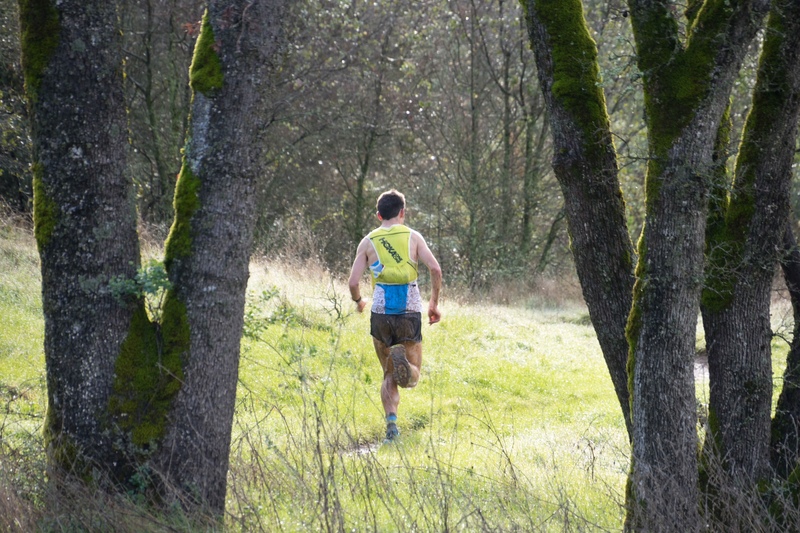 I had to tell myself many times between mile 18 and 25 that I was still having a good race. I was in 6th and felt like I was moving well. Getting dropped by Jared and not seeing anyone else ahead made it tough to stay mentally engaged through these rolling hills. I had to keep telling myself that I was running well, and not to worry about what was happening with the other guys. My luck would change as I approached Goat Hill, the steepest on the course. I saw a white jersey ahead and immediately I could tell he was not just a guy out for a training run. I don’t know what the giveaway is, but it was easy to tell that he was in the race by how he was running; hard but tired. I passed him pretty quickly and ended up running nearly every step of that 400ft 1/2mile climb. This race taught me something. Rickey Gates asked me beforehand if I was going to try and win. I said “of course not, there is no way I can win against a field like this”. I have done this to myself throughout my ultrarunning career. It’s not like I think I am bad, I mean I usually consider myself to be pretty good, just not good enough to win. This day I was 7 minutes off the win. It’s the closest I’ve been in absolute or percentage terms to winning any highly competitive ultra. What I realized was that I need to start thinking that I can win. I am not that far off, and the truth is you never know what you can do, but you do have to believe you could win to have any shot of it happening. That mental change may or may not result in high profile victories, but it’s requisite for me to have any chance. I am stoked to have started off this season with some momentum here, but now is the time to keep working, hard and smart. 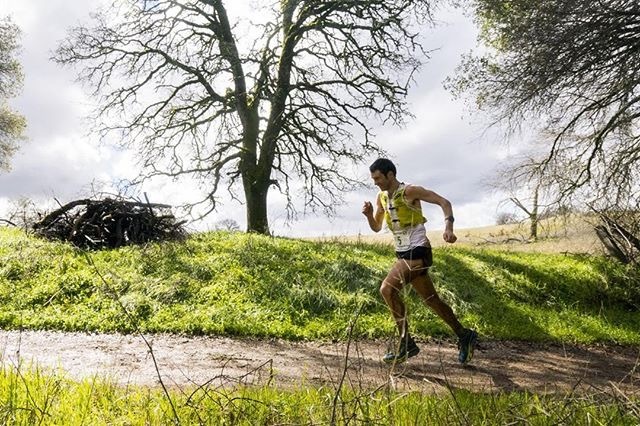 I’ve got Lake Sonoma 50 mile, highly competitive complete with 2 Western States golden tickets coming up in 5.5 weeks. I’ll get to race a bunch of the same guys there along with many others. Thanks to all who follow along and to my sponsor Hoka One One. Their shoes are truly unique and I am excited for what they have coming down the pipeline later this year.